Photographer Dennis Krieger sent Midwest Racing Archives this link with KCCI's short story on the late, great Earl Wagner's mural in Pleasantville, Iowa. The 2010 Class of the National Dirt Late Model Hall of Fame was announced this past Sunday October 18th prior to the running of Carl Short’s annual Dirt Track World Championship, this year presented at the Lawrenceburg (Indiana) Speedway. Headlining the Driver’s category is 12-time IMCA Late Model Champion Ernie Derr of Keokuk, Iowa. 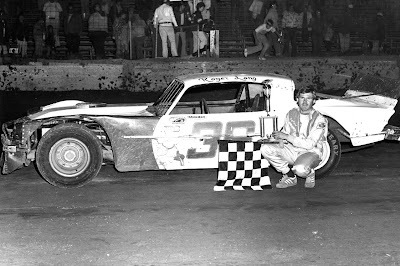 Derr’s career took him from 1950 through 1977 in late models claiming over 450 feature victories, a huge number of championship events and is a past inductee of the Iowa’s Sports Hall of Fame. Another Iowa great Ronnie Weeden was named to the upcoming class known for his 56 years of dirt racing competition and over 500 career feature victories and countless track titles. Weeden who passed away in 2005 was legendary in western Iowa and eastern Illinois but had accumulated wins from his region all the way to Florida. Steve Kosiski from Omaha, Nebraska joins his brother Joe who was previously inducted into the Hall in 2008. Steve had amassed over 300 career feature victories and was prominent on the NASCAR Busch All-Star Series collecting 7 championship series titles and is the all-time winningest driver with the group with over 50 series victories. Mike Head from Ellenboro, Georgia joins the Hall with over 600 career wins, numerous invitational victories and was champion of the Southern All-Stars Series in 1991 and the Rick’s Furniture Super Late Model Series in 1997. 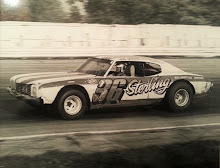 Another Midwestern great Roger Long from Fithian, Illinois joins the group on his 350 career wins and 15 track titles. Long was a part-time racer who farmed for a living and was one of UMP’s all-time winningest weekly drivers. Billy Scott from Union, South Carolina finishes out the driver’s category racing 37 years with over 400 feature wins, including a number of invitational triumphs and multiple track titles across the Southeast. In this year’s Contributory category former Danville, Kentucky car owner and sponsor Bobby Paul was selected. 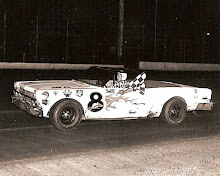 Paul’s legendary “Pauls’Pipeline” race cars were successfully fielded by fellow Hall of Famers such as David Speer, Larry Moore, Ronnie Johnson, Rodney Combs and Billy Teegarden. Also selected as Contributors is the Thomas Family of Phoenix City, Alabama. Father and patriarch Jimmy Thomas along with his wife Shirley and children Billy, Bobby, Ben and Bevy were instrumental in the business areas of car and chassis building, car owning and sponsoring, driving and promoting the very successful East Alabama Speedway in Phoenix City. The Hall’s “Circle Track Racing Magazine’s” Sportsman Award will be presented to long time competitor Freddy Smith for his dedication and ambassadorship to the sport. This is the NDLMHoF’s 10th Class, with its first induction ceremony held back in 2001. The 2010 Class will be inducted at the Florence, Kentucky Speedway next August prior to the running of the annual North-South 100. Cedar Rapids, Iowa – With super speedways such as Indianapolis Motor Speedway still in its infancy, a new craze in racing was sweeping the nation. It was called a board track and for a short period, Des Moines, Iowa was the site of one of these unique spectacles. In the early days of oval tracks, horses and cars shared the same tracks. It was obvious right away cars stirred up the dust and dirt and more than any thoroughbred could. The dust was so thick that crowds complained that it was hard to see the action and the driver’s were sometimes blinded. In the days where fans literally lined up next to the track, it was a dangerous situation for all involved. Not to mention that the huge potholes and ruts left by the cars could severely injure horses. Road builders tried to pave tracks but the liquid asphalt available at the time was so poor that it would disintegrate quickly after a few races. Asphalt was so bad, in fact, that when Carl Fisher was building Indy, he decided to cover his 2.5 mile track with 3 million 10-pound bricks to save on future repair costs. It was a very time consuming and an expensive process. To this day, Indy is the only track ever to be constructed that way. Twin City Motor Speedway in Minneapolis paved their two-mile track with concrete but that too was very expensive. An engineer by the name of Fred Moscovics had seen a bicycle board track in California that gave him an idea. Why not build an oversized board track for automobiles? A wooden track would be dust free, produce high speeds and it would be quick to build with a lot less cost than other conventional methods. Moscovics and race track designer Jack Prince built the first board track at Los Angeles in 1909 and it was a smashing success. The banking on the first track was 20 degrees and as one writer described it, “looked like a giant cereal bowl”. The circular shape allowed the drivers to produce high speeds and because of its shape, didn’t require much turning of the steering wheel. Better yet, race fans didn’t go home after the races covered in dust and dirt. The total expense to build the track was $75,000. To give you an idea of the speeds produced, many years later in 1927, Frank Lockhart was clocked at over 147 mph on the Atlantic City, N.J., pine. He would later win the pole at the Indianapolis 500 that same year with an average speed of 120 mph. The one drawback to the tracks was the races weren’t very exciting and cars would get spread out rather quickly (much like what NASCAR is today). Prince went back to the drawing board (literally) to think on how he could improve his idea. A couple of years later Prince decided that the tracks needed longer straight-aways and with that, he built a huge two-mile track in Chicago in 1915. The track was an instant success with drivers and fans alike. To show you how popular it was the 1915 Indianapolis 500 drew 60,000 spectators. Three weeks later, the Chicago race drew an estimated 85,000 race fans. Chicago Speedway’s success prompted Prince to build two more tracks, one in Omaha and the other in Des Moines. The track in Des Moines required 96 railroad boxcars of wood and an estimated 50 tons of nails. As many as 250 workers were involved in the construction of the one-mile oval at the bargain basement price of $100,000. The legendary Barney Oldfield was one of the first drivers to test out the new track. On July 25, 1915, Oldfield averaged 103 mph at Valley Junction Board Speedway. What made the average speed so remarkable was the fact that the famed Indianapolis Motor Speedway didn’t show those speeds until four years later in 1919. After Oldfield came off the track that afternoon, he was arrested and fined $7.85 for violating the Sunday closing laws. Other race car drivers who were there that day were ticketed for not having mufflers on their cars until it was decided by local police that race cars weren’t suppose to have mufflers in the first place. The first big race was a scheduled 300-mile event that took place a couple of weeks later on August 7th. Approximately 10,000 race fans showed up that afternoon to watch Ralph Mulford, piloting a Dusenberg, win the race in the time of three hours, 27 minutes. Ralph DePalma, who had won the Indianapolis 500 several months earlier, grabbed second driving a Stutz. Unfortunately the race was marred by two deaths, one a driver (Joe Cooper) and the other a mechanic (Morris Keeler). 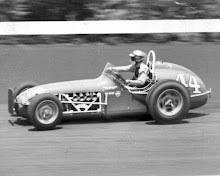 A loose plank on the northeast portion of the track caused Cooper’s tire to blow and sent him and the car hurdling into the infield grandstand area, killing him instantly. Only one more race would be held at the track, a 150 miler on June 23, 1916. Ralph DePalma, this time piloting a Mercedes, would win the event in one hour, 37 minutes. The third-place finisher that afternoon was a young up and coming driver by the name of Eddie Rickenbacker. He would not only excel as a race car driver but also as a World War I flying ace. One of the perils of board tracks was the lack of technology to preserve them. The track floors would become brittle and literally start breaking into pieces during races. During those races, large holes would develop in the track floor. Many drivers must have been scared out of their wits trying to dodge holes while driving at break-neck speeds. It was said that workers would lay underneath the track with flags sticking out of the holes to warn drivers as they tried to patch holes as the race took place. Imagine trying to fix a hole while cars are going full bore right over the top of you! The whole board track experiment lasted until around 1928. Experts say the reason for their ultimate failure in was that it took absolutely little or no skill to drive cars on them, just a huge amount of guts. Tracks could hold a car on the same line at full speed without any steering required by the driver. A few shorter distant racing events took place on the Des Moines oval but fan interest in the track slowed, most of the name drivers were overseas doing their part for the war effort and Valley Junction Board Speedway closed for good in 1917. Because of all of the Midwestern elements we experience every year, the rain, snow and extreme heat, the track rapidly deteriorated, was eventually dismantled and the lumber sold off. It is said that many of the barns and other wooden buildings constructed in and around the Des Moines area from 1917 to 1918 still stand with timber from the old board raceway. In 1948 IMCA ran 138 races and had 9 more on the schedule that for some reason (like rain) didn't happen. They started on February 3rd and finished on November 28th both in Tampa. Some days they ran two events on the same day. On May 30th they ran 4 races on the same day at 4 different race tracks in 3 different states. Indianpolis, Ind. - It was a sight that will remain in the memories of all who were present, for many years to come. The USAC 500 All-Stars basketball team challenged the PERT team (Press, Entertainment, Radio and TV) to an exhibition game at the Indianapolis Coliseum on Thursday night October 3, 1968 with the proceeds going to the USAC Benevolent Fund, to be used toward the rehabilitation of injured driver Bob Hurt, who watched from the sidelines. Almost 8,000 people were on hand for the game, which raised over $13,000.00 from ticket sales and other contributions. The game consisted of four 5 minute quarters which were highlighted by some of the most unconventional basketball ever witnessed. Mario Andretti climbed on Roger McCluskey's shoulders for a better chance at reaching the basket; Referees Dave Overpeck and Pat Vidan gave the All-Stars a ten yard penalty for kicking a field goal and there was some confusion when a ball with no air in it was introduced into the game. There were a number of wrestling matches during the evening. At one point A.J. Foyt was attacked by three members of the press team and almost disappeared from view. There was a short struggle before A.J. emerged with the ball still tucked under his arm. Indianapolis Motor Speedway announcer Sid Collins pointed out to the crowd that choking of opponents would not be allowed beyond two minutes. The game was about to end with the All-Stars leading 7-4, when every player on the sidelines came onto the floor bringing a few "spare" balls with them to help boost the score, and the proceedings ended with a custard pie fight involving the entire company. Indy winner Bobby Unser suffered some of his recent racing luck and was out in "warm ups" with a sprained ankle. John Moss of Iowa City, Iowa passed away on Friday, October 9 at the age of 74. No matter what track he showed up at in the Midwest, Moss was always a top contender in the late model ranks and when he wheeled his all too familiar #1 out on to the track, the rest of the competition knew that would have to deal with "Big" John. John Moss, Iowa City, Iowa, gets ready to do battle in the late model feature at Southern Iowa Fairgrounds in Oskaloosa, Iowa, on Thursday night, August 3, 1972. Moss would earn a decisive victory. Brady Smith (2) and Steve Kosisiki (52K) race during the WDRL PolyDome Super Series finale at Lakeside Speedway on Saturday evening, October 9, 2004. Kosiski would win the 50-lap feature while Smith's fourth place finish would net him the series title. 2004 - Steve Kosiski of Papillion, Neb., roared past Springfield's Terry Phillips four laps from the checkers to win the 50-lap WDRL series finale at Lakeside Speedway in Kansas City, Kan., on Saturday night, October 9. Brady Smith's fourth place finish clinched the 2004 PolyDome Super Series title for the 26-year-old Solon Springs, Wis., pilot. 1999 - For the second year in a row, Eddie Hoffman of Westchester, Ill., won the Oktoberfest 200 edging out local favorite Steve Carlson of West Allis, Wis., by .436 seconds at the checkers on Sunday afternoon, October 10 at LaCrosse Fairgrounds Speedway. Hoffman passed Carlson on lap 128 and fought off several challenges throughout the contest. Madison's Brian Hoppe's third place finish secured the 1999 RE/MAX Challenge Series title and Jimmy Mars and Johnny Sauter rounded out the top five. 1994 - Victory was sweet the third time around for Joe Shear of Clinton, Wis., as he won the Oktoberfest ARTGO 100 feature at LaCrosse Fairgrounds Speedway on Sunday, October 9. Shear, who had also won in 1972 and 1989, started 21st but gradually made his way to the front passing Neil Knoblock on lap 47 for the lead and then holding off an aggressive Matt Kenseth for the remainder of the race. Omaha, Neb. 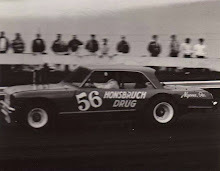 - On October 4, 2007 Nebraska lost one of its racing legends with the passing of Bob Burdick. Burdick was the only Nebraskan to ever win a race in NASCAR’s premier division when on March 26, 1961 he drove his dad Roy’s Pontiac to victory lane at Atlanta Motor Speedway. Despite being unfunded, racing on used tires, with a borrowed rear end and a rag-tag rookie pit crew, Burdick took the lead of the Atlanta 500 on lap 292 and pulled off one of the biggest upsets in NASCAR Cup history. Robert “Bob” Burdick was born in Omaha, Neb., on October 26, 1936. 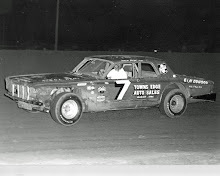 Racing was a natural for Bob as his dad Roy owned stock cars starting in 1949 with Bob’s uncle Bud doing the driving. Bob however, started his racing career in motorcycles. Among his championships on two wheels was the Nebraska State Motorcycle Scramble in which he rode his underpowered BSA Gold Star Clubman to victory despite an early race accident. After three years racing on two wheels, Bob and his dad built a 1955 Ford to compete in IMCA. 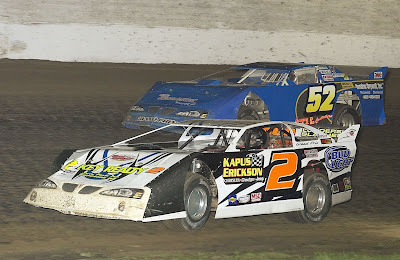 He made his IMCA and four wheel debut at Hutchinson, Kan. and came away with a very impressive fourth place finish. This led Bob and his dad to start campaigning full time on the IMCA circuit and in 1956 they won four races on the circuit and finished fourth in the championship. Bob continued to improve as a driver and started to understand that a good handling car was the key to success. Combining this knowledge and experience with his dad’s well prepared cars featuring stout Burdick engines and the 1957 IMCA championship would come down to Ford versus Chevrolet. In 1957 Burdick in his Ford and Harlan, Iowa’s Johnny Beauchamp in his Chevrolet waged a war for the IMCA championship with the point's lead switching back and forth. Late in the season, Burdick experienced a rash of bad luck and finished second in the championship chase with 22 wins. Among his wins that year were the prestigious Iowa International 300 at the Iowa State Fairgrounds, two wins during the Minnesota State Fair, a win at the Iowa State Fair, and a win at his home state fair, the Nebraska State Fair in Lincoln. On July 26 at the Red River Fairgrounds in Fargo, North Dakota, Bob barely escaped serious injuries when he hit the front stretch wall and had two planks come through his windshield and barely miss his head. He escaped with a broken bone in his hand and a bruised shoulder. His car received serious damage. In 1958 Bob scored 13 wins on the circuit and finished 3rd in the points. 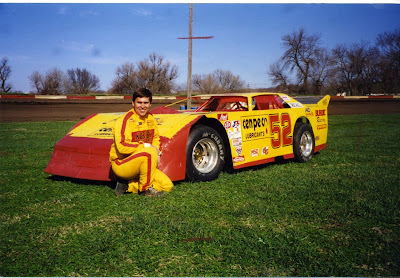 During his short three year IMCA career, Bob Burdick scored 40 victories and had 2nd, 3rd and 4th place finishes in the point championship. He also set many track records during that time. During this same time, Burdick raced at the Pioneer Speedway in Des Moines for promoter Marion Robinson, who would later become famous for starting the Knoxville Nationals. Because IMCA frowned upon their drivers running the local bullrings, Burdick competed under the alias Don Quinn and drove one of his old IMCA cars to many victories at Pioneer Speedway. In 1959, Bob was drafted into the Army but used his leave to continue to race. Having worked closely with Holman & Moody during his IMCA days, the Burdicks’ continued to use Fords in their next endeavor, NASCAR. In the 1959 Southern 500 at Darlington, Bob still a rookie in NASCAR’s top division, sat on the provisional pole, started fifth, and finished second in the race. He was the Darlington Rookie of the Year and was inducted into the Pure Oil Record Club. In six starts in his NASCAR rookie season, Bob scored two poles, at Trenton, New Jersey and Columbia, S.C., and had four top 10's. 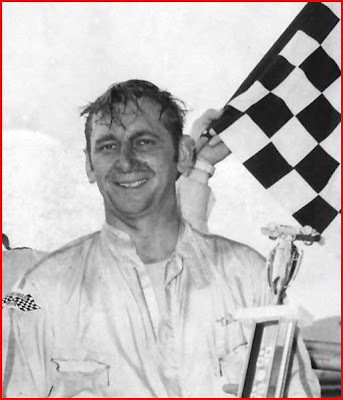 Driving Fords in 1959 and 1960 and a Pontiac in 1961, Bob Burdick made the most of his limited NASCAR career capping it off with the above mentioned win at Atlanta. In 15 races, he scored one win (1961 in Atlanta), one second and one fourth, nine top ten finishes and two poles. He ran up front in most of his NASCAR races in cars that were engineered and built in Omaha, Nebraska. In fact, some of the cars that the Burdick’s campaigned with in NASCAR carried the following logo, “Built by Farmers in Nebraska.” Distance and money cut the Burdick’s NASCAR career short. In the early 1960’s Bob ran supermodifieds with much success in Nebraska, Iowa and Kansas driving for the likes of Ernie Motz of Omaha and Kettleson’s Automotive in Lincoln. On Labor Day 1963 at the newly opened Midwest Speedway in Lincoln, Neb., Burdick and fellow Nebraska Auto Racing Hall of Fame inductee Lloyd Beckman put on one of the best shows ever waged at Midwest. In the fifty lap feature, the two battled each other lap after lap, putting the rest of the field a lap down before a lapped car took Burdick (the leader at the time) out on the white flag lap and Beckman was awarded the win. Bob would be the first to say that you can’t do it all by yourself over the years he had some great pit crew members. Bill “Bad Body” Morris, Ed Sacks, John Czaja, John Narduzzol, Roy Ehlers, Jim MacElroy, Ralph Koch, Rich Peers, and the real Don Quinn were there to help Bob at various times during his IMCA or NASCAR days. Later Ray Killion helped out during the supermodified days. And of course it didn’t hurt to have an automotive genius like Roy Burdick as a father. Bob, his dad Roy and his uncle Bud have all been inducted into the Nebraska Auto Racing Hall of Fame. It didn’t matter whether it had two wheels or four, Bob Burdick could drive it. 2004 - John Hampel of Nodaway, Iowa took the lead from Tiffin, Iowa's Denny Eckrich on lap nine then survived a caution four laps from the finish to win the annual Cornhusker Classic, a World Dirt Racing League-sanctioned event at Nebraska Raceway Park on Saturday night, October 2. The win was Hampel's third series victory of the season and second consecutive triumph at NRP having won the spring event over Memorial Day Weekend. Mark Teske of Spring Valley, Minn., nudged Eckrich at the line for second, Brady Smith of Solon Springs, Wis., was fourth and John Anderson of Omaha rounded out the top five. 1995 - Steve Carlson of West Salem, Wis., passed Jeff Klem of Kansas City, Kan., on lap 213 and then held off a furious charge from Kevin Cywinski of Memominee, Mich., to win the 12th Annual world Cup 300 in the ARTGO Challenge Series event on Sunday afternoon, October 1. After Carlson nosed his Chevrolet Monte Carlo underneath Klem going into turn three to grab the lead, he then took advantage of three caution periods to hold off Cywinski. Jim Weber, Matt Kenseth and J.R. Roahrig were the top five finishers. 1989 - Pete Parker of Kaukauna, Wis., led over three-quarters of the monumental Miller High Life 200 National Clay Track Championships on the 1/2-mile clay oval of Santa Fe Speedway in Hinsdale, Ill., to net the $13,000 first place check on Sunday evening, October 1. Parker passed Oak Lawn's Bob Pohlman on lap 47 and never relinquished it. From there, Parker had a secure lead with no challenges. Ronnie Johnson of Chattanooga, Tenn., John Provenzano of Hinckley, Ill., Gary Webb of Davenport, Iowa and Ray Guss Jr. of Milan, Ill., rounded out the top five. 1976 - Don Hoffman of Des Moines, Iowa led from start to finish in winning the National Dirt Track Championships at the Mississippi Valley Fairgrounds in Davenport, Iowa, on Friday night, October 1. Hoffman's only challenge came from Des Moines' Joe Merryfield who was moving in on Hoffman when he spun his late model with one lap to go and was unable to recover in time for the checkered flag. Ron Weedon of Pleasant Valley, Iowa took third ahead of Lisbon, Iowa's Roger Dolan and Tom Stueding of Altoona, Wis., finished fifth.